Discover why this historic neighborhood attracts Hollywood stars and lives in the imagination of millions. 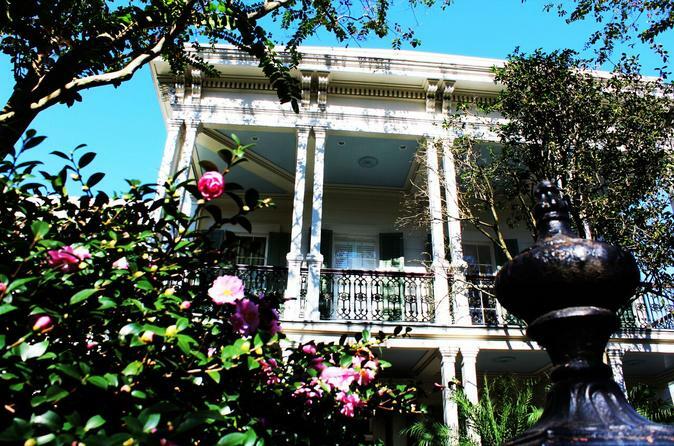 You’ll see the Old South come to life as you stroll through the heart of the beautiful Garden District. Our expert guides will bring you to the most luxurious Garden District homes as they share historical anecdotes and celebrity insights. With one look up at the immense mansions and a view down the picturesque tree-lined streets, you’ll see why the Garden District draws tourists and celebrities year after year. Fall for the Southern charm of the Garden District’s most elegant mansions and tree-lined streets. See breathtaking mansions, many owned by famous celebrities, and learn all about this area’s architectural magnificence. Witness the homes that played a part in the Civil War and are still standing today. Explore the above-ground tombs of Lafayette Cemetery, one of the most historic cemeteries in New Orleans and resting place of historic local legends.